Windows are a unique feature on a home or business because of their ability to impact the look of both the interior and exterior of the structure. They also have other benefits that extend beyond aesthetics and style, such as promoting energy efficiency, security and even privacy. Selecting the right new windows Eugene Oregon and having them professionally installed by a knowledgeable team is important for many reasons. When the time comes for you to install new windows on your Oregon home or business property, rest assured that Discount Windows has the affordable yet stylish and high quality styles that you are looking for and the skills to properly install them. Before you can install new windows, you will need to select the type of windows that you want. From garden windows and sliders to single hung, double hung and other styles, you can always find the perfect range of options through Discount Windows. 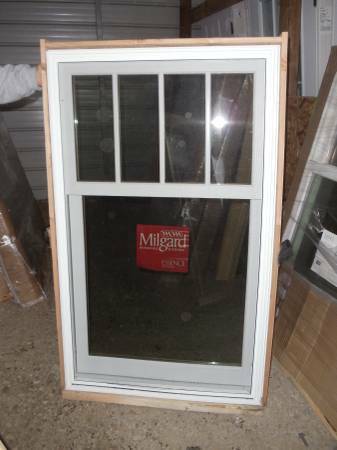 More than that, Discount Windows carries styles from an extensive range of reputable manufacturers, including Milgard Window and Doors, Atrium Windows, Sierra Pacific Windows and Doors and Cascade Windows. Whether you are shopping for replacement windows on a tight budget, or you are focused on energy efficiency we can help. We can even assist you in selecting windows that qualify for government rebate programs to help you save money on the purchase. The professionals at Discount Windows have the skills and experience that you are looking for in a window installation company. While the team will assist you with the selection of the right styles, you can also expect fast, quality installation service. Whether you have selected vinyl, fiberglass, wood or other types of new window frames, all styles can be installed with precision to ensure the best overall results. The fact is that there are literally thousands of different windows that can be purchased, and Discount Windows keeps many of those windows in stock and ready to install without delay. As a first step, you can contact us to schedule a consultation and to have your property measured and inspected, which will allow the team to create a customized quote, as well as making sure that the right windows that fit your budget are purchased. You can set up a no-obligation consultation and measurement appointment by contacting Discount Windows today.